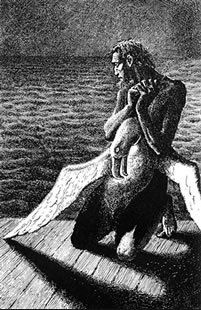 In the Rhyme of the Ancient Mariner the sailors were trapped on the ocean, low on supplies, running out of hope, and without drinking water. The narrator saw the irony of their plight as they were dying of thirst while surrounded by water. Of course, that water was salty and undrinkable, and became an albatross around their necks. Sister Debbye Cannon has provided us sensible solutions when it comes to the storage and maintenance of a drinkable water supply. Avoid your albatross and take a few minutes to read the flyer on the link below.